Conquering the mountains and reaching at the top of the hills has always been a fascinating dream for human beings. The tallest mountain in the Europe is Mont Blanc which is located in France. Its sheer size and the view from the hilltop is breathtaking. 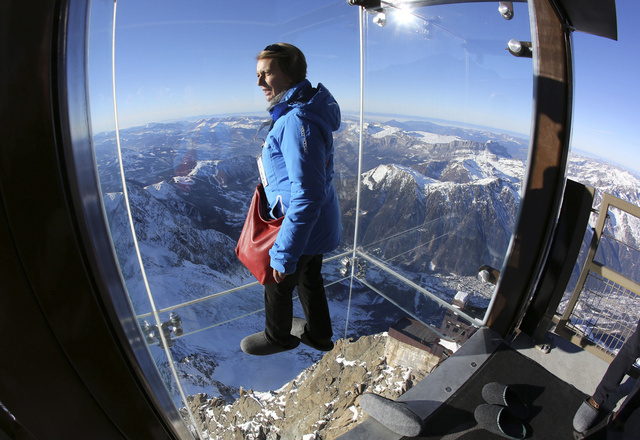 As it is a wonderful and thrilling experience to stand at a height of 12600 feet. 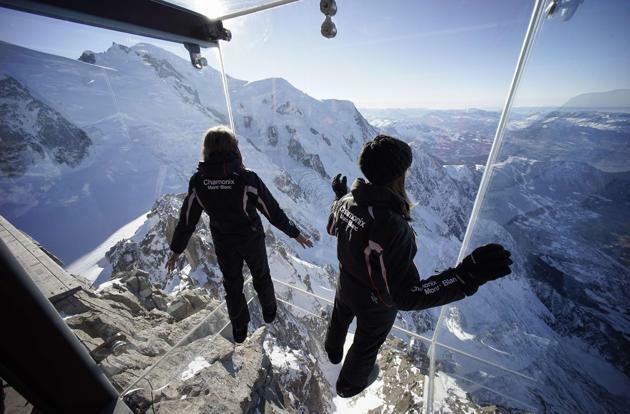 Aiguille du Midi is one of the peaks on this mountain with a tourist resort located at the top. 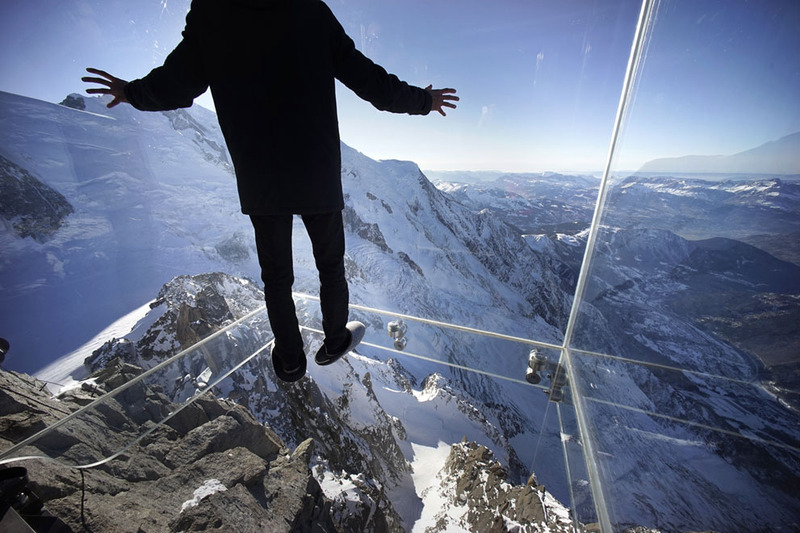 Named in French as “Pas Dans Le Vide” (Step into the Void) it has become a popular tourist attraction due to its some peculiar features. 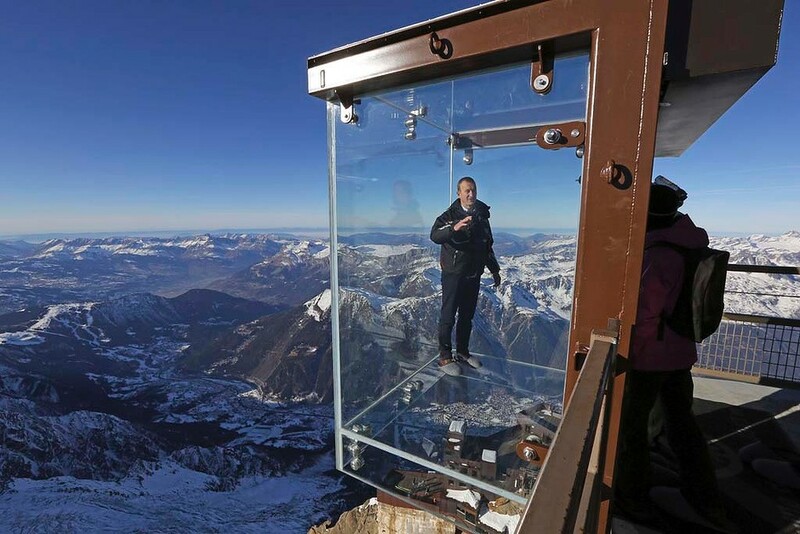 As the name suggests you can actually stand on glass box protected metal support to have the experience of actually standing in a void at the top of the peak. The visitors can witness the void as if they are moving in the air. 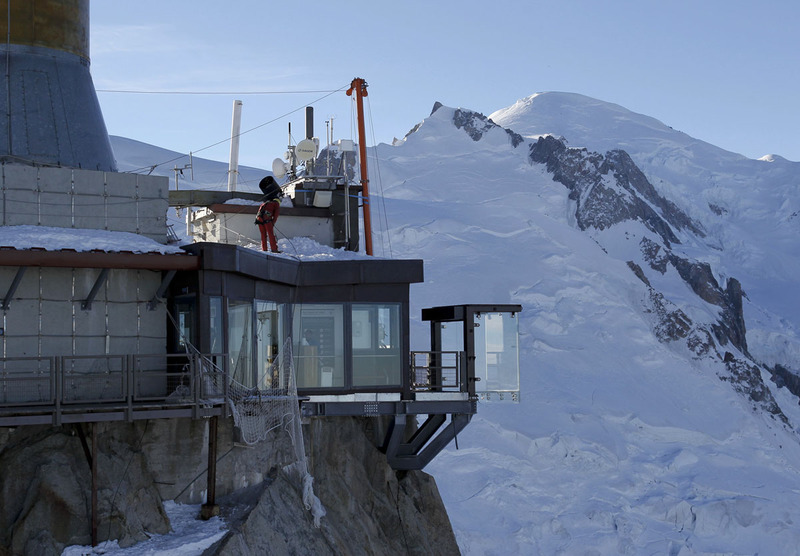 You can easily reach the resort and the viewpoint by taking the Europe’s highest cable car. This cable car takes the tourists up to the height of 8858 feet. You are in the air still you are not frightened! It can become the Europe’s most attractive place for visitors and tourists. This breathtaking adventure can be very attractive for the thrillers not only from the Europe but also across the world. It has a lot to offer to the adrenaline junkies. Ths “step into the void” is a technical wonder as well. 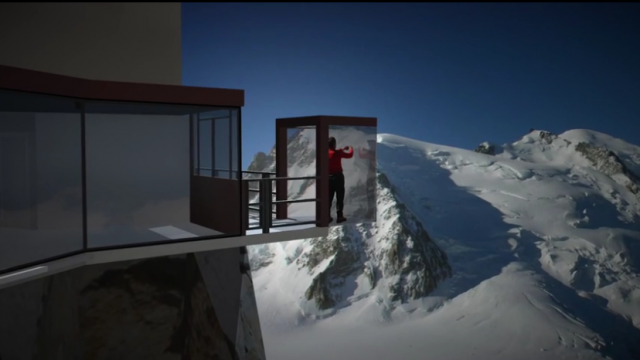 According to a spokesman who runs the resort, Step into the Void is the first such restaurant that has been constructed at such height, using the most advanced constructions materials, as the resort has to bear the extreme climatic conditions. The spot stands at 3rd place in the list of top 10 most visited places in the world. No doubt, an architecture at such height is a real wonder.